Never underestimate the power of sharing. 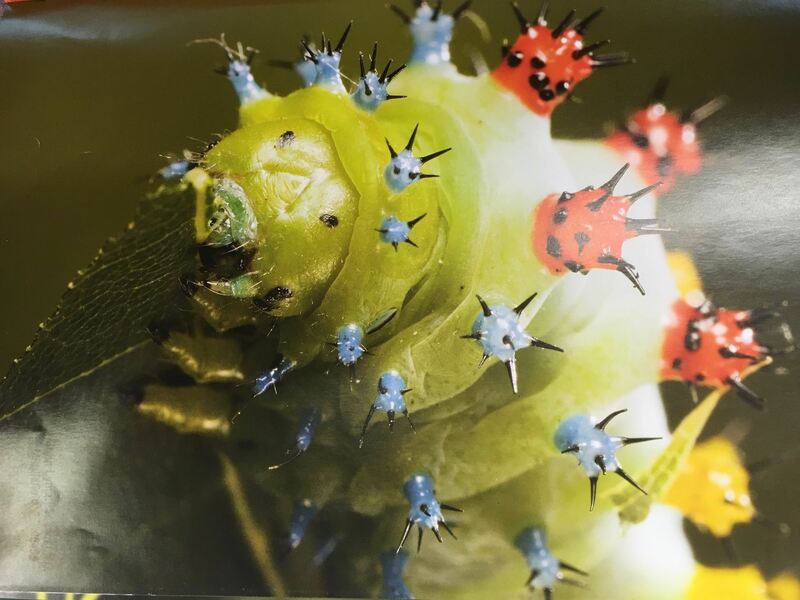 For the library renovation project, students knew to market their proposals toward school librarians and other relevant district personnel since the county is planning to complete such a project within the next few years. Perhaps what was a surprise to them though was the extent to which guests would listen and take into consideration their suggestions! Not only did school administrators, district curriculum directors, school librarians and the district superintendent watch our students present their rationales and suggestions for the school library renovation, they also saw the impact of student choice and student voice in authentic assessments. Students were invested in this assignment. They prepared for the part, dressed the part, and spoke the part. 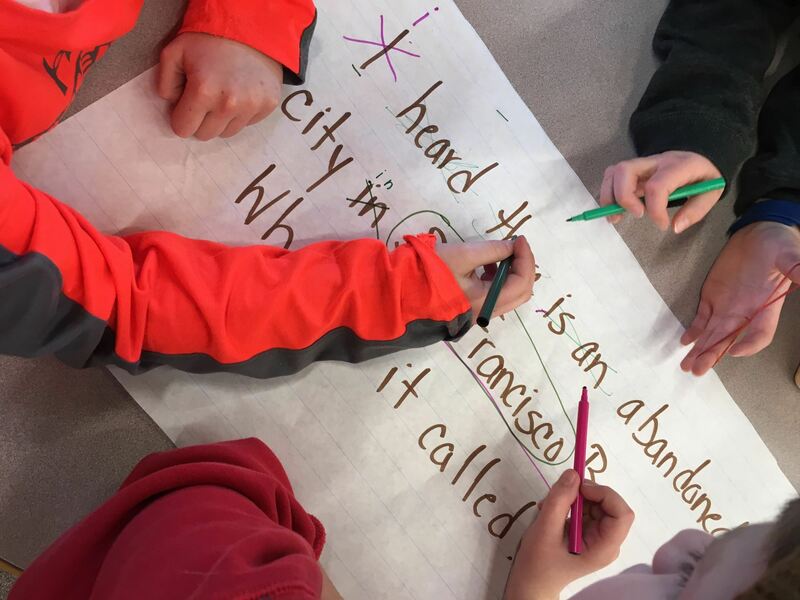 Their ideas were original, varied, and focused on making our school library different from all the others in the city. Fayette County Public Schools Superintendent Manny Caulk told me after a series of presentations he observed that these students’ feedback would definitely be included in the decision making process when it’s time for our school library to be renovated. That’s powerful! Other guests in the audience were intrigued by what they saw in the presentations and out of that came great (but unexpected) PR opportunities as well. Feature articles were written by district personnel and the city’s local newspaper. You can read the article here. The superintendent, too, is creating a video series about student choice and its impact in schools and found many sources to interview for inclusion in their project. How cool is that? 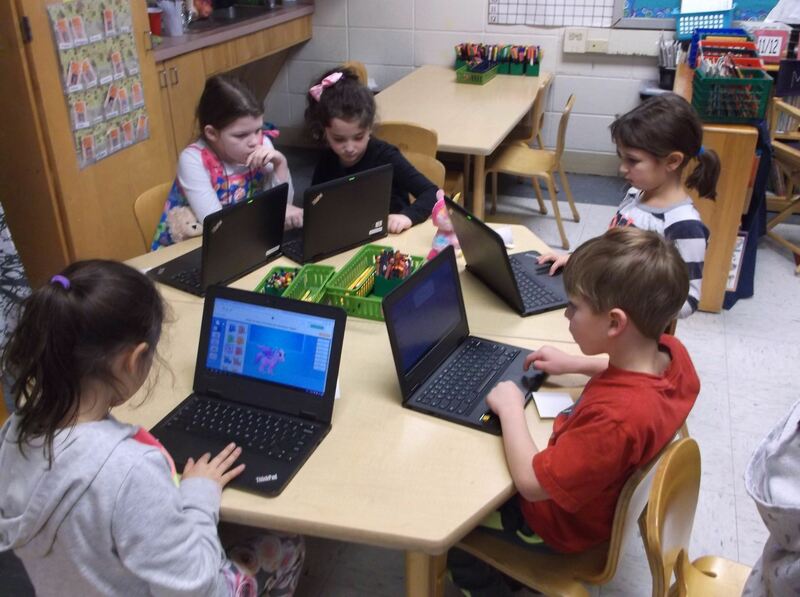 While the attention this project garnered is by no means the goal, it is evident that school and district leaders value these types of learning experiences for all students. Any why not? Having student choice and student voice embedded throughout the year helps to create ownership of learning and student engagement increases as a result. 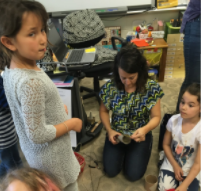 Perhaps as a result of publicity, there may be other teachers now willing to incorporate guided inquiry design into their classrooms and experience the impact it can have on student engagement and academic achievement for themselves. So what’s next? In less than a week, the core learning team will be presenting a session about Guided Inquiry in mathematics at the Innovations for Learning Conference to share our experiences. It is our hope that others will be inspired to try it too. After that, we will continue to brainstorm ways to bring Guided Inquiry into additional units and disciplines and seek other venues to share our GID experiences with others. Let’s keep the conversation going about Guided Inquiry Design! Please post comments about today’s blog post in the comment section below and consider contacting Leslie Maniotes about blogging about your Guided Inquiry experiences so that we can learn from you! Thanks for reading, reflecting and sharing this journey with me! Imagine your school space was slated for a renovation. What would you change and why? Because our school library is slated for a renovation in the district’s facilities plan, we wanted to hear what students would change. For that reason, students were tasked with redesigning the school library to better equip students and staff to meet the changing demands of education in the 21st century. In the open phase, school librarians designed a one period class involving multiple activities geared to get students curious about what exactly a 21st century library should look like and what additions, deletions or modifications would be necessary in their minds to create an innovative space. For Immerse, students spent time observing what happens in their school library before or after school and then took a field trip to three local libraries. First was another school library in the district, second was the central branch of the Lexington Public Library, and third was a state of the art university library. 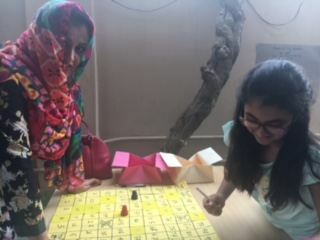 This activity helped students notate (and in many cases, photograph) layout ideas, furniture options, technology implementation, etc. To prepare for this important step in the process, the school librarians designed an observation sheet that students filled out to compile (and guide) their notetaking. One of us helped chaperone the trip too! Exploring in any inquiry unit is key, and this project was no exception. The school librarians designed four stations for students to explore all things related to a school library. Within these stations students took notes on various symbols and floor plan designs, notated technology items and furniture options that may be beneficial for their proposal. One station even included a Symbaloo webmix created to help students brainstorm various elements of a 21st century library. 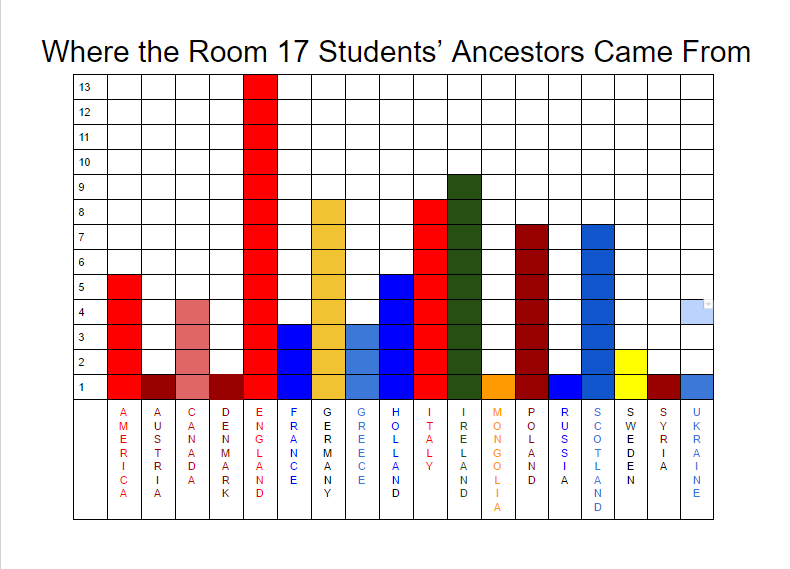 Students were given latitude in identifying which part or parts of the school library they would address in their proposed renovation and the classroom teacher often used Google Forms to collect this data. Days were set aside for students to Gather whatever they needed to formulate a strong renovation plan. 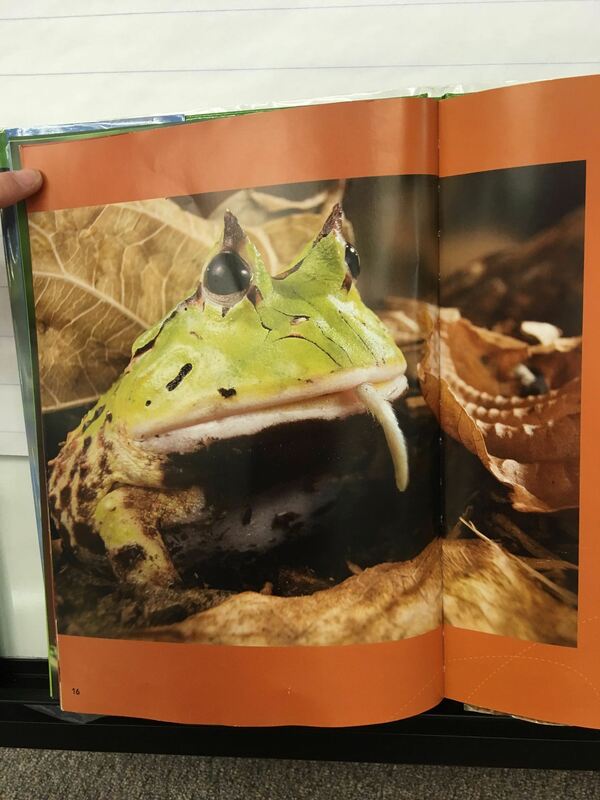 Each time this was done in the library. It was in this phase that students measured the library, worked on calculations, and revisited Explore station materials to determine what would be needed to make their individual renovation projects a success. Ultimately, students Created a presentation which included (but not limited to): a Request For Proposal (RFP), a scaled model or drawing of their renovated space, and a budget, however, the format in how that presentation was created was entirely up to students. Share presentations took place in the library so that librarians, classmates and guests could better visualize the renovation recommendations. Fish tanks, comfortable seating with electrical outlets, a skylight, an additional second floor, a cafe, new paint, updated computers and 3D printers were among the students’ proposals. More on this in the next blog post so stay tuned! And just like any other unit, assessing learning is essential. That’s why there were several layers of Evaluation with this project. Math content standards were assessed in the scaled model/drawing, the budget and calculation page submissions. Speaking & Listening standards were addressed in the presentation rubric which was designed with input from the students. Writing skills were evaluated with the RFP rubric. And let us not forget self-reflection as this not only helps students to process their learning process but it is great information for teachers and librarians to use to modify and tweak instruction for the coming years too. Our core learning team for this unit included one math teacher and the school’s two school librarians. Between the three of us, we collaborated, designed instructional experiences, co-taught lessons and served as a support to one another and our students throughout the entire project. Our extended team included the librarians at local libraries in the community and initially an art teacher. Due to a conflict between the timing of the project and the arrival of a baby in the family, this partnership didn’t work out this year, however, we will definitely include it in future years! As always, thanks for reading the 52 Weeks of Guided Inquiry blog! Please leave comments on the blog or contact me directly on Twitter using @HCHSLibrarian. I’m always eager to brainstorm GID ideas and work to make existing units better. 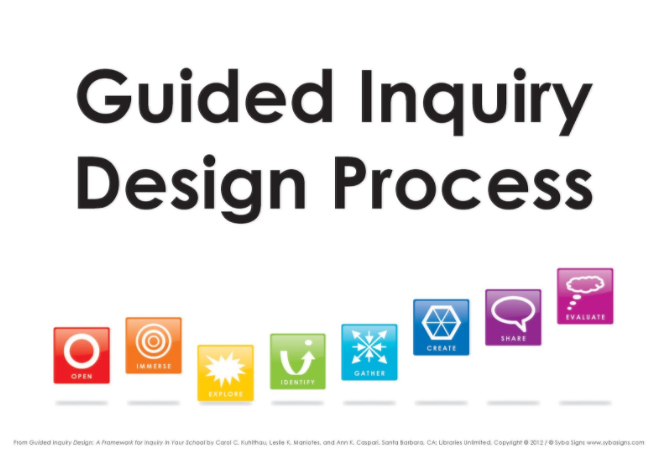 You’re interested in Guided Inquiry Design too? Oh, that’s awesome! You and I have a lot in common already. Hi, I’m Amanda Hurley from Lexington, Kentucky. I am finishing my 17th year in education, my 12th as a school librarian. I’ve been learning and attempting to implement Guided Inquiry Design since 2014. You can read about how I initially learned about GID from my February 2016 post here. Co-teaching with classroom teachers is one of the things that makes me passionate about my job. That’s why I was thrilled when I learned my district, Fayette County Public Schools, supported 5 teachers to attend the the CiSSL Institute at Rutgers University in July 2016. The three day institute helped us learn more about guided inquiry design, experience instructional strategies to foster student-engaged classrooms and ultimately design a guided inquiry unit from start to finish. It was time well spent and if any of you have a chance to attend a workshop or Guided Institute with Leslie Maniotes, please make every effort to attend. Since I’ve last blogged, my colleagues and I have designed or tweaked 4 more GID units, most of which were in high school mathematics. That doesn’t make me an expert but my colleagues and I are beginning to feel more comfortable with the process. With each unit, and subsequent revision after reflection, we feel students are owning more of the learning process and are encouraged to find more ways to embed it in our instruction. If you have time, please respond to this blog post in the comments. I’m always eager to talk about GID! You can also reach me on Twitter, @HCHSLibrarian. For our final post, we wanted to share about a unit on which we have actually collaborated! Carole, our fabulous fine arts teacher Carrie Howes, and myself came together to create an integrated science unit. While it is still a work in progress, the students (and teachers) have learned a lot and are incredibly passionate too! 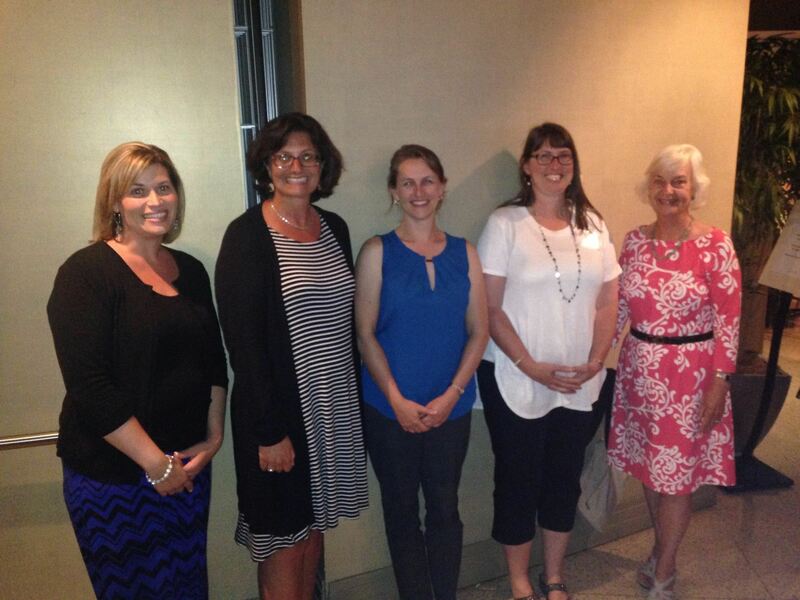 On the same day, both Carrie and I talked with Carole about presenting at the HOT Schools Summer Institute. This week-long experience brings together other HOT school teachers, artists and many others for incredible learning opportunities. This summer, the focus is STEAM. The idea of collaboration between the Library, Art room, and classroom was born. As we began planning, GID was a natural fit. The three of us met several times during lunch breaks to brainstorm and lay the foundation for this work. Carole shared about the concepts and curricular areas that her class would be focusing on. 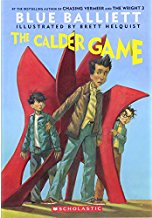 I suggested and found a copy of The Calder Game book to spark the curiosity of the students. Always on the lookout for STEAM connections, I also wondered if sphero robots could add to this unit of study with their connection to motion. 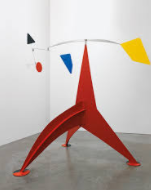 Carrie began to research the works of Alexander Calder and connected the concepts of the mobiles to balance and motion, the underlying curricular theme. She also collected and gathered materials for the students to use when creating their group mobiles. 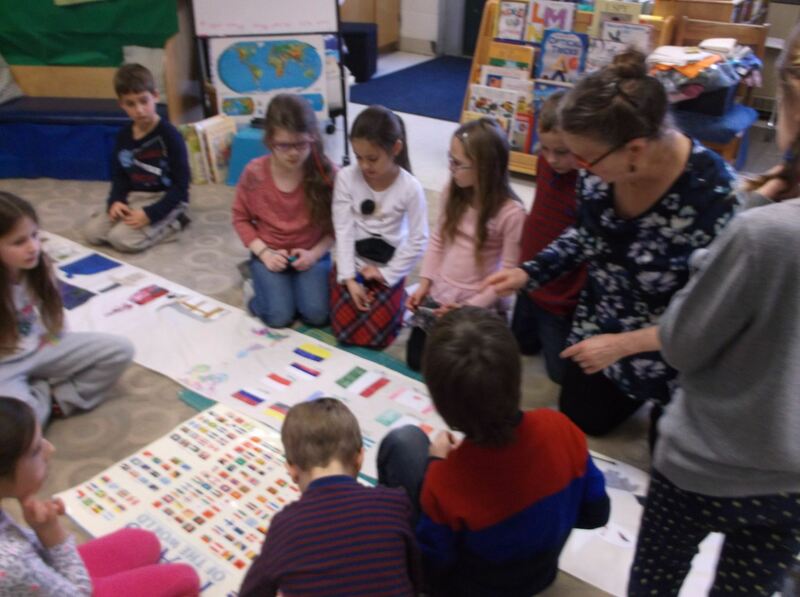 Carole created the student groupings and loved every moment of researching the art, science, and technology that would make this unit come to life for the first and second grade students. 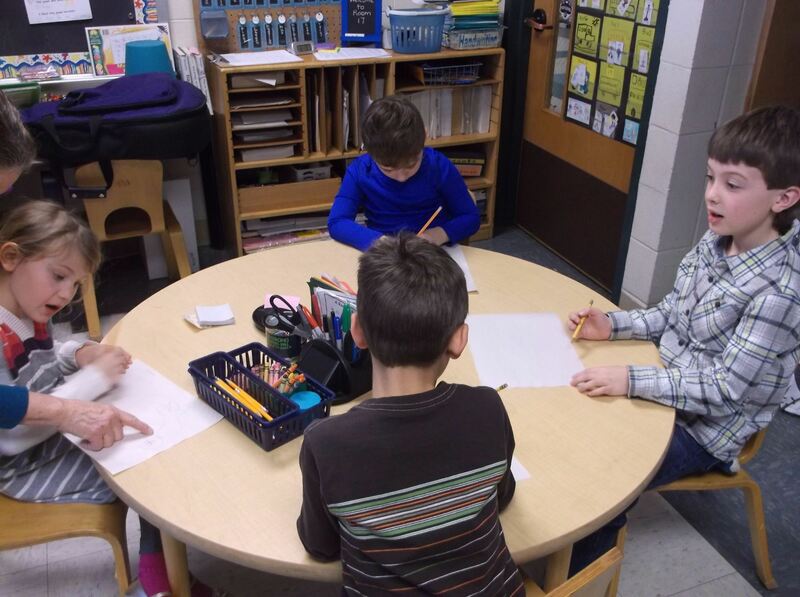 In addition, our technology teacher Bridgette Schlicker has been partnering with us. We became so excited about this unit and will indeed be sharing it during the HOT Schools Institute! As with anything, the GID process for this unit has not been linear. One of the hallmarks of HOT schools is student voice and choice. So while some of this unit could be planned, at times we worked flexibly as students helped decide the directions we would go. Here are the steps in the GID process and how they worked with this unit. 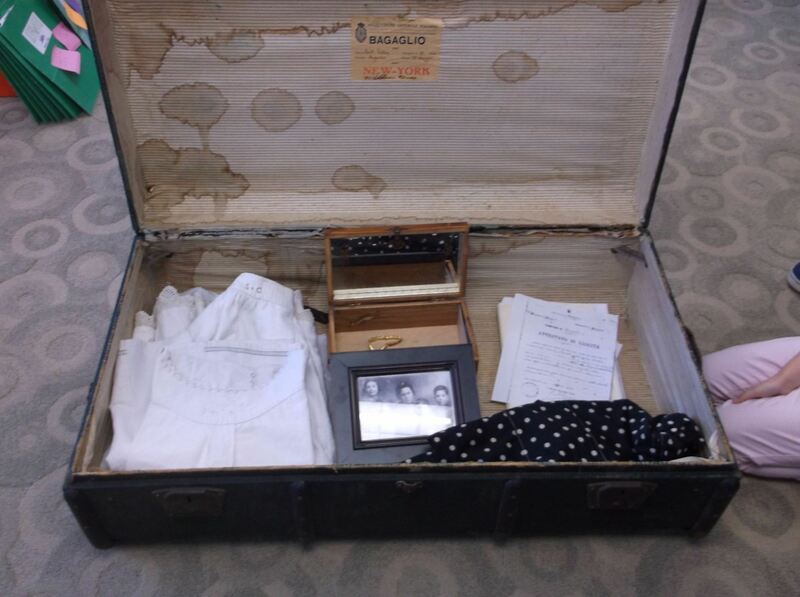 Carole used several items for the Open phase. The class read aloud is The Calder Game. Together with biographical information on Alexander Calder and pieces of Calder’s art, students were immediately hooked! Much of the immerse phase took place in the classroom. 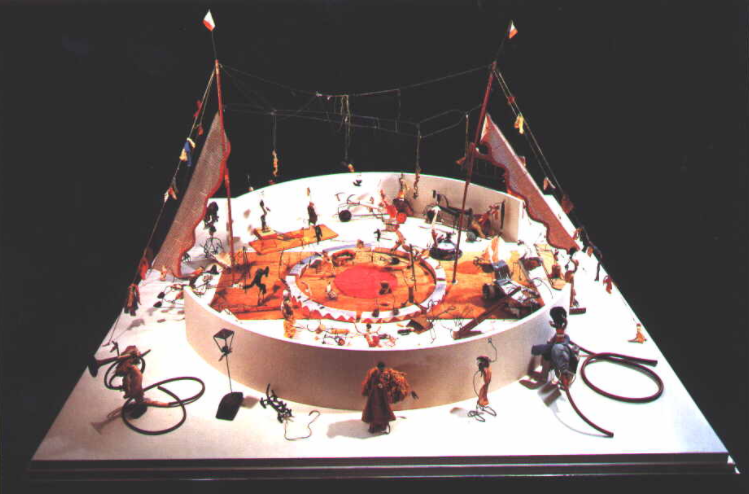 Students watched YouTube videos of Alexander Calder’s mobiles, museum exhibits, Calder working in his studio, and his circus. Students selected a focal art piece to display in the classroom and spent time looking at Calder’s stabiles. In library class, I had curated as many websites as possible using Symbaloo and students explored these sites. All of this added to their knowledge of Calder and his work. Throughout, the ideas of balance and motion were discussed, although they were not the focus yet. mobile. Extending this further, students then added a numeric value to the pieces to make a balanced equation. An Art Farm performance of the Little Apple Circus continued to expand students’ knowledge and understanding of balance and motion concepts. In library, we worked with Sphero robots to gain experience with moving them around the room, first using the app to just drive the Spheros and then using the Tickle app which utilizes coding to move the robots. The identify phase has probably been the most difficult. 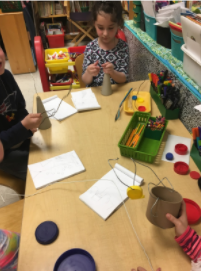 These are first and second grade students and they have constant questions and also this unit almost has two areas of focus, balance and motion and Calder. In library, we created a list of questions about Calder together and then learned as much as we could. I don’t think that these questions were as deep as they could have been. 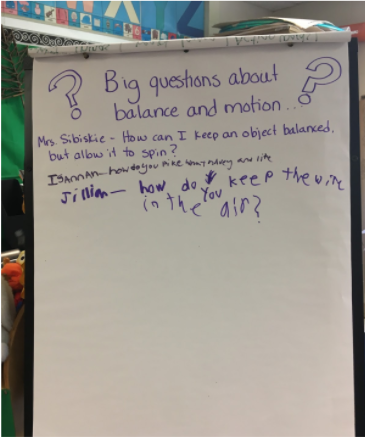 However, I believe that when Carole and her students began to think about balance and motion concepts, these became those deeper types of questions. This works well because the balance and motion is the major focus of the unit. In the library, the classroom, and in technology class students collected all kinds of information. 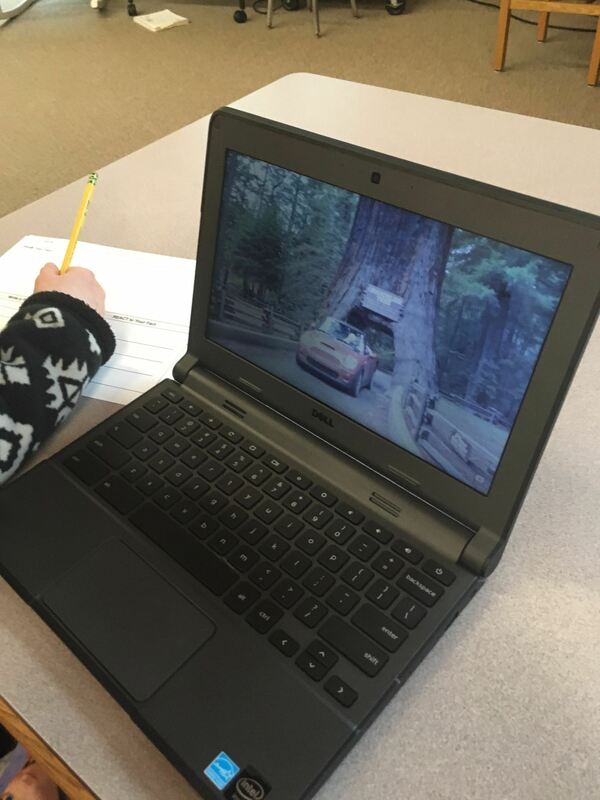 We used this Gather phase to integrate some information literacy, such as citing sources and note taking. A variety of creations are happening with this unit. Carole began to have her students create Calder curations. She asked them to select three favorite pieces using Safe Search. Students then created a Google doc with an explanation and reflection of each art piece. 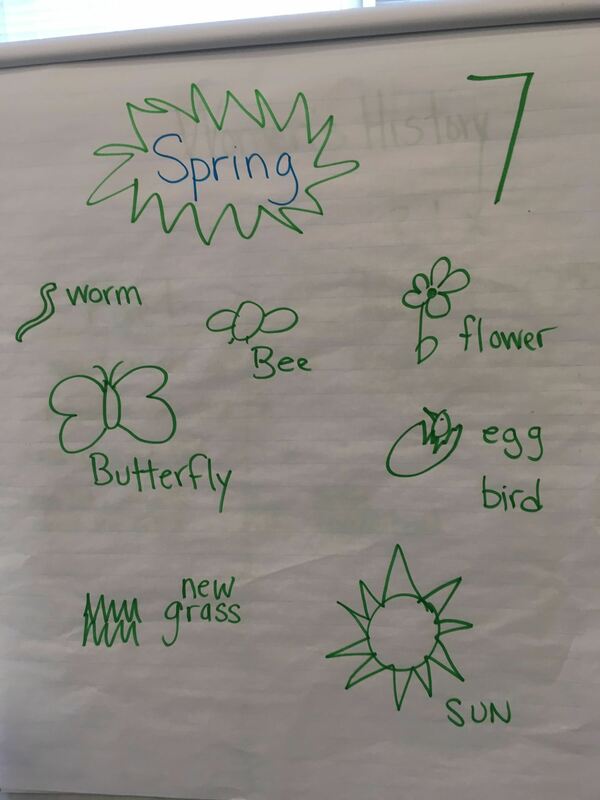 This was begun in the classroom and continued in library. The Eli Whitney Museum is nearby and students used kits from the museum to build a balance and motion circuses. 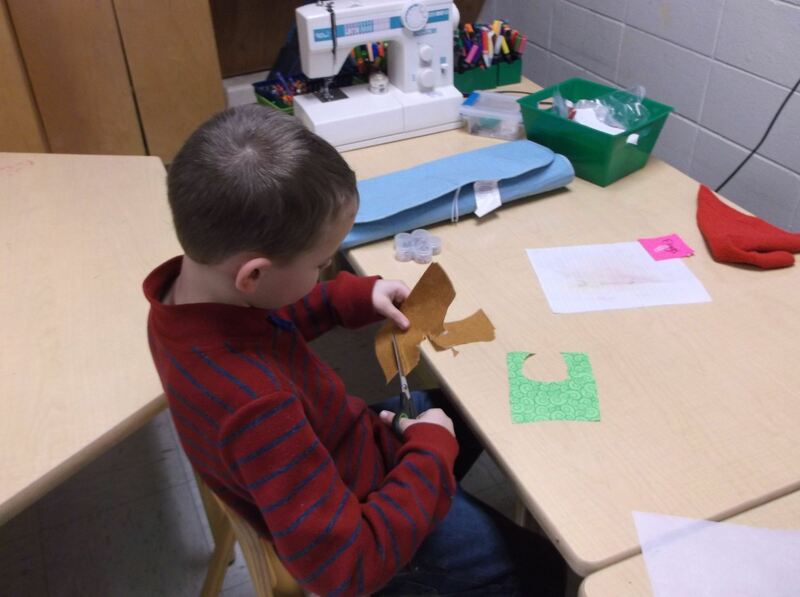 Mobiles are being created collaboratively with inspiration and information from our art teacher as students focus on craftsmanship. These 2D mobiles will (we hope) be made into 3D objects to use in the share that we are imagining. Carrie Howes, art teacher, creating mobiles. 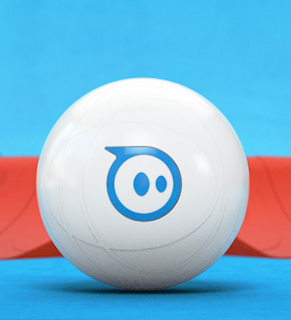 At this time, we are planning to create the “Four Ring Circus” with each group programing a Sphero robot which will be used to show balance and motion concepts. They will also use the elements from their 2D mobiles and translate them into 3D objects in the ring for the “circus act” to engage with. This work will be shared in part at an Assembly (which are held each Friday afternoon) and in whole for the school wide Share Fair. The students will have a rubric to complete for each “circus act”. They will search for evidence of balance and motion, Calder inspirations, and technical use of the Sphero as they watch each performance. 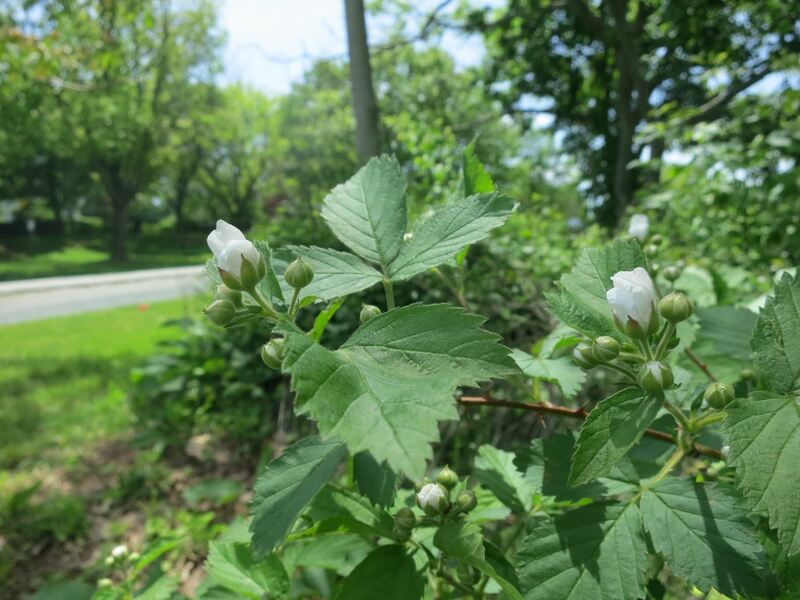 From the classroom: If time allows (we are getting very close to the end of the year!) the students will be able to design an individual balance and motion experiment to further test one of their “big questions” about this concept. 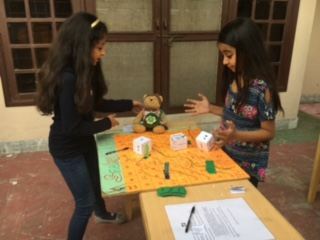 By combining GID and STEAM elements together, this project has become totally purposeful and engaging for everyone involved. All learners were able to shine in a strength area with their group as there were so many styles of learning that were needed for the different stages of learning. So much of the work was hands on and experimental which also raised engagement. The kids were using the language of the 4Cs of collaboration, communication, critical thinking, and creativity to describe this work. Students had to push their thinking further in each step. It was astonishing that not one group struggled to balance their mobiles. Because of the groundwork, they have a great conceptual understanding of how to construct a balanced mobile! From the library: I have loved every minute of this process. While there are days when we literally go by the seat of our pants, the learning has been amazing. Echoing Carole, the student engagement has been so much fun to watch. In the future, I would like to be more intentional about the information literacy skills that are embedded and also assess those more. I would also like to include more student reflection throughout. We will update this post with pictures of the circus that I am confident will take place!!! 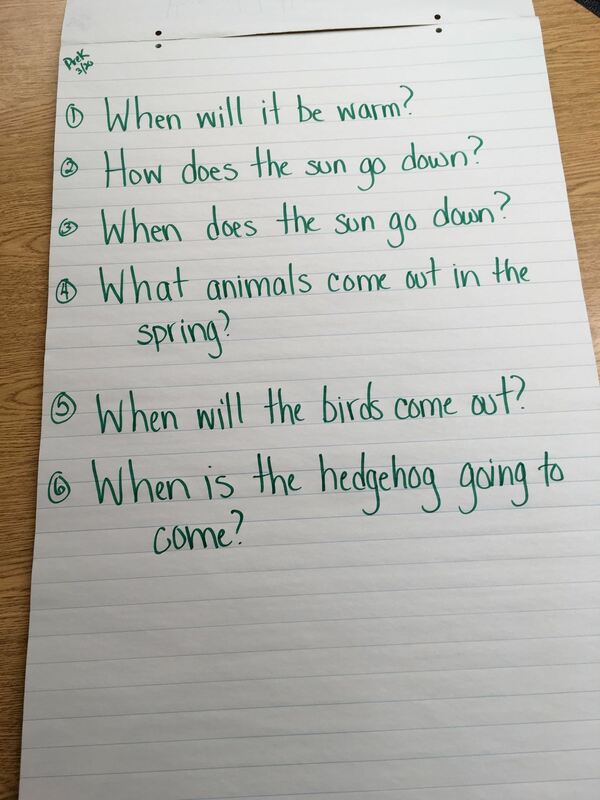 Guided Inquiry is a concept that I was first introduced to last year. Our amazing librarian Jenny Lussier arranged for first grade teacher Jessica Loffredo and myself, Carole Sibiskie, to attend the GID Institute. It was an absolute privilege to be able to participate in the CISSL Summer Institute at Rutgers University last summer. As someone who has engaged in Project Based Learning for over a decade, it was a curious process to see where GID and PBL overlapped and where they differed. 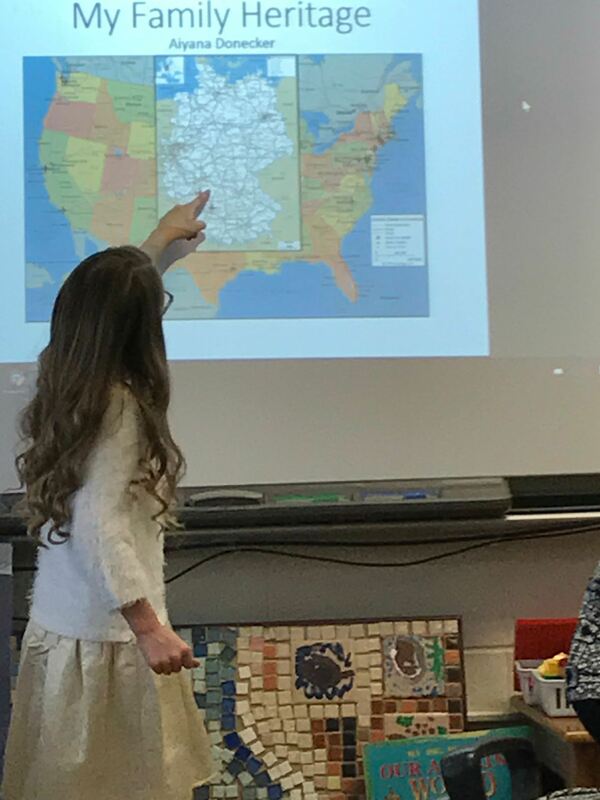 Through the institute, our team worked on a Social Studies unit to implement with a multi-age first and second grade classroom. The Family Heritage unit is one that we have covered in the past, but at the institute we were able to “redesign” with a collaborative inquiry focus. Our team made changes to fit the unit into the design template and to strengthen the framework. We extended opportunities for the open. It was clear that one area that needed to be lengthened was the process of immersion for the students in the content. The largest change came in adding the explore area. Prior to our introduction to Guided Inquiry Design, this was an area that was missing in the process. Time was added for the children to develop their own areas of personal interest in a much more meaningful and purposeful manner. The GID Framework encouraged us to also dig deeper into the phases of identify, gather, create, share, and evaluate. There was so much more to consider than in the past. The reality of implementing the plan hit during the school year with many celebrations and many challenges. The biggest challenge was to find time to collaborate. Snippets of time were found during the day, and there was electronic communication, but it is an effort to find extended amounts of common time. Also, as the classroom teacher, it is very easy to get caught up in the moment and forget to reach out to connect. We made sure to connect for the important aspects, even though we weren’t always able to be with the kids at the same time. 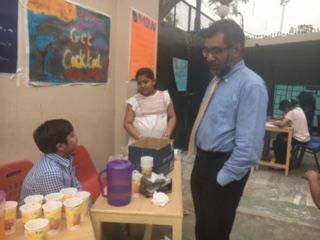 Additionally, several of the experiences and opportunities moved from open to immerse and vice versa due to time constraints, connections to other curricular areas, and the lack of large chunks of time to give undivided attention to this work. It wasn’t exactly the way we laid the plan out on paper, but it worked nonetheless. 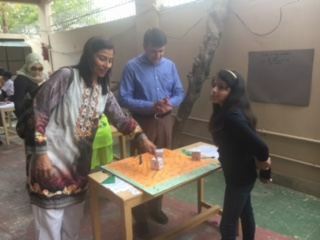 The highlights were the moments with the students fully engaged in the process, and they were many! 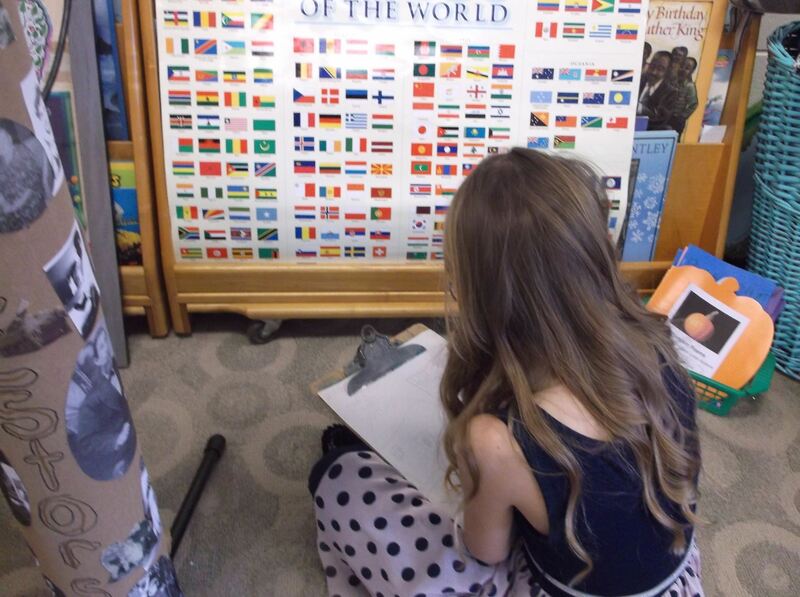 When we finally found the large block of time to integrate “the open”, a simulated Ellis Island experience in the classroom, the children had already developed a lot of background information related to Ellis Island through read-alouds. This actually made the experience more relevant to the students as they cheered, “We are at Ellis Island!” upon entering the classroom. When the first student was marked with chalk, they exclaimed, “Oh, no he is sick. He might not be let into the country.” So it seems we had a “soft open”, that enriched the actual open! One of the most powerful explore areas arose as the students planned a school assembly share. They decided to represent each of their family heritages through folk music and choreographed invented folk dances. YouTube was used to select the “just right” songs using democratic practice. There were many whole class conversations about how music and dance impact a culture and vice versa. Students studied related flags, texts, and maps as they planned this share. 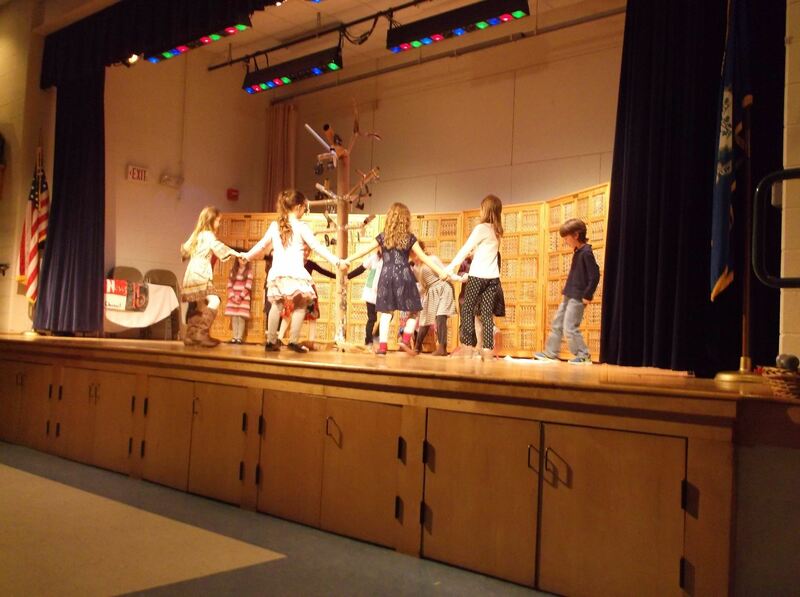 Students greeted the audience in their “native” languages and danced for each of their countries of origin around the tree they decided to create using photos to represent ancestors on the bottom and generations at the top. 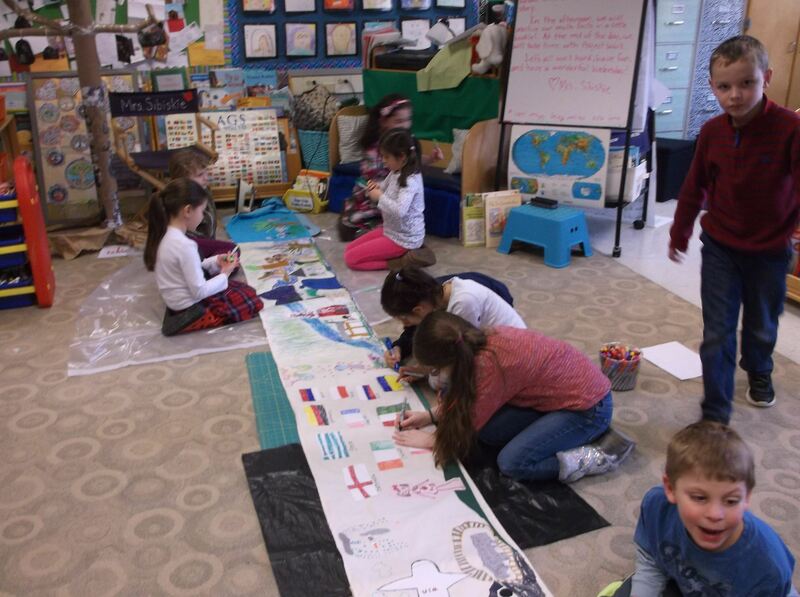 Several of the children had more than ten countries of origin! Students also worked with resident artist Sally Rogers to write and create a family heritage song and old fashioned cranky to illustrate their song. The students decided the song would be about immigration. 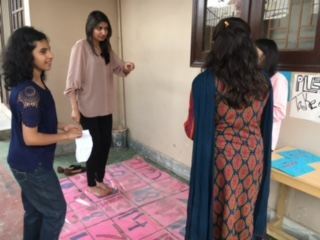 This process helped them move from the explore to identify phase as they collaborated on this project and found their personal interests in different areas. 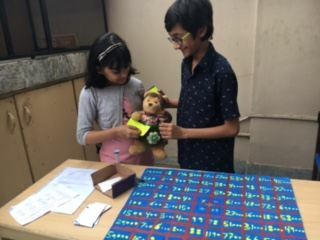 Students also had old photos of ancestors which they wrote an invented realistic fiction story which they produced on Seesaw to share with classmates and their families. Their research and information from read aloud texts came through loud and clear in these pieces. Individual research occurred with much support from families to provide needed background information. 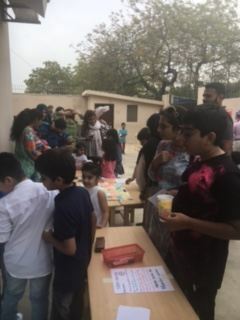 The students learned about geography, languages, music, dance, genealogy, history, foods, and numerous other aspects of culture. Additionally, respect was developed for the diversity and variety of cultures including the 19 countries of origin for these children!